Grab yourself a bargain and take advantage of our sale! Up to 50% off Cloth Nappies & Accessories. While stocks last. It’s that time of year…. after the exhaustion of Christmas & New Year…time to kick start 2017 with a sale! Up to 50% off items in our store. Lots of bargains to had and gems hidden amongst the many items. Sale ends 8th January. Enjoy! Ugh. 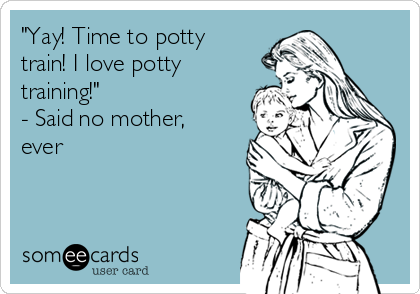 So, trying to potty train our twins… and it is not going well. Going by history (i.e. eldest boy), our kids just love the convenience of going in diapers as opposed to the loo. I’ve tried it all – the running around nappy free, using big boy pants, and they just don’t seem to get it. Which is fine & dandy, but when you have pre-school starting soon, the alarm bells ringing in my head are driving me to insanity over this issue… we’ve been at it since the beginning of July. One boy has caught onto the concept of big-boy pants, and keeps relatively dry, but as soon as the diaper goes on for nap time, the flood gates are open, and at end of nap is wet. It’s not the end of the world, but I don’t want him holding in his wees either! Our other boy I’ve had to temporarily put a hold on training, as I’ve been left a bit scarred having to clean poop smeared all over our playroom (thankfully room had been recently tidied, so toys dodged it), all whilst asking my 5 year old to occupy the 2 year old daughter and drag her away from a messy toddler & playroom. Wee accidents are a doddle to clean up, but OMG poop ones are so SO bad. I just got in the NEW Charlie Banana 2-in-1 Swim Nappy & Training Pant this week – so I really want to test drive it on my twin who had the big-boy-pant poop explosion. It’s got nifty side snaps, to ensure quick & easy removal if soggy (from swimming) or dirty (when potty training). I’ll be sure to post a review when I’ve taken the pant through it’s paces! Cloth Nappies Leaving Red Marks? They’re not all bad! We’ve received a few queries about this from parents, worried about cloth nappies leaving red marks. 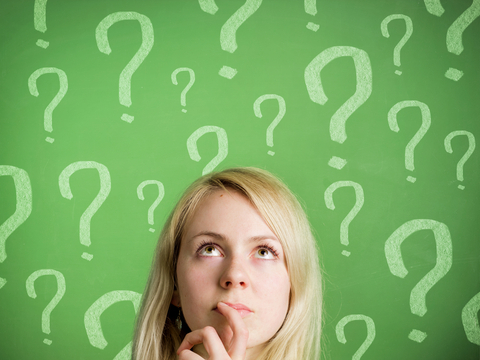 You know those marks you notice on your little one’s waist or thigh after a nappy change? We’ve all been there. Red marks aren’t all bad: there are varying degrees of them… and it’s totally normal to get them with an elasticated garment. Question is, when is the red mark a sign of a nappy ‘betting’ into baby from being too tight? If a mark is pink, and are light imprints from the elastic, all is fine and they should disappear within a few minutes. If a mark is dark red or purple, and a deep imprint on the skin that doesn’t disappear after a few minutes, then the cloth nappy is on too tight & possibly chafing. We stumbled across a great article by Dirty Diaper Laundry a while back that gives excellent information on red marks left by cloth nappies, and what’s a ‘bad’ mark versus a ‘normal’ mark, with images as examples. This is definitely a must-read for any cloth-diapering parent out there. We currently have 3 children in cloth nappies – but hopefully once Summer comes into full swing, our twin boys will be up for the challenge of potty training. Sure, we use cloth nappies on all the kids – it saves us a fortune, but I gotta admit it: we use disposables at night. I’m not ashamed… I want my full night’s sleep! We did do full-time cloth nappies with our eldest boy – worked out great. Yes, we got the very occasional leakage but it was nothing detrimental. Baby got changed (whinged a bit) but when clean & dry, he got back to sleep. When the twins arrived, and they finally started sleeping through the night, I have to admit the thought of having to get up in the middle of the night and change a sopping cloth nappy & wet clothes off a wailing baby, who’d no doubt wake up his other brother (who was also a baby)…made me cringe. Yeah night leaks don’t happen that often, but there was no way in hell I was gonna chance it. It was then that I threw in the towel on night time cloth nappies, to have dry babies at night, and a nice bed for me to cosy into for at least 8 straight hours. I’m not scared of night-time cloth nappies – I just want to make the most of my own night sleep. Screaming Looking after 4 small kids during the daytime is tiring enough without having the impact of *possible* night-time wakings to compound it. If you choose to use cloth nappies on your children – don’t feel guilty if you don’t go full-time. We all operate family life at different paces & situations, and you just need to make things fit. Switching to cloth nappies part-time can make such a positive difference to your household budget – if & when you’re ready to try night cloth diapers, go for it. 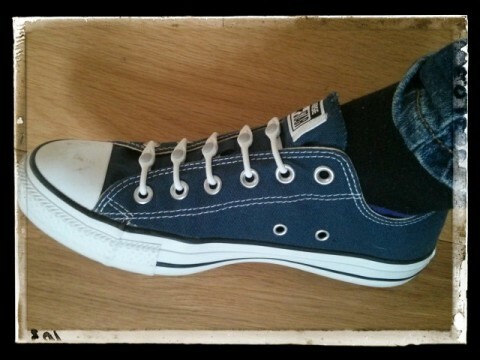 I HATE tying shoelaces: I prefer to just slip on my shoes, rather than spend 2 minutes loosening laces, putting foot in, tighten laces, then tie them up….times two. I mean, with 4 kids under 4, I literally just want to put on my shoes & go! Thing is, when I’d slip on a pre-tied pair of shoes, they’re never as snug as what they would be had I tightened the laces. Was there a nifty product out there that would get my shoes on darn quick, and also look good?? There was…. HICKIES is an elastic lacing system that replaces traditional shoelaces and turns any sneaker into a slip-on. Style your footwear with your own signature and never tie or untie your shoes again. The laces are still as tight as the day I put them onto my shoes. What’s more Hickies made my shoes look good too: when you’re in a shoe shop, how many of the shoes on display have their laces tied? None! The laces are always tucked inside the shoe… Hickies give you that same sleek look, but with the snugness of a tied shoelace! Check out how they look on my Converse! Hickies can inject a bit of colour into your shoe too! Mix & match laces… Whatever you want. Hickies have been tried & tested here at JoeyRoo HQ, and I’m pleased to say that this is definitely a product we highly recommend! Buy your Hickies from us now! So, after having 4 children: 2 pregnancies were c-section, 3 children were breech, and a family history of hip issues, our newest arrival was diagnosed with borderline hip dysplasia (DHH), and had to wear a Pavlik Harness continuously for 6 weeks. Poor little mite! The Pavlik harness can be a mean contraption – the edge of the strapping can be quite sharp and cause chaffing on baby’s delicate skin! While fitting our little one with the harness, the physiotherapist told us to put something on her legs to protect them from being chaffed…. Hello BabyLegs!